1. What city did Jesus travel to? 2. According to our story which disciples went to find a room? 3. What man were the disciples told to follow in order to find a room? a) A man with a cane. b) A man carrying a pitcher of water. c) A man eating a cheeseburger. 4. Why was it unusual to expect to see a man carrying a water pitcher? a) Water was usually carried by women or girls. b) Men only carried water in the evening. c) They had running water in their homes. 5. Why did Jesus need the room? a) For a place to sleep for the night. b) For the Last Supper with His disciples. c) For a place for Peter and John to live. 6. Where was the Upper Room probably located? a) In a large room on a flat roof with stairs leading up the outside of the house. c) In a basement of a church. 7. 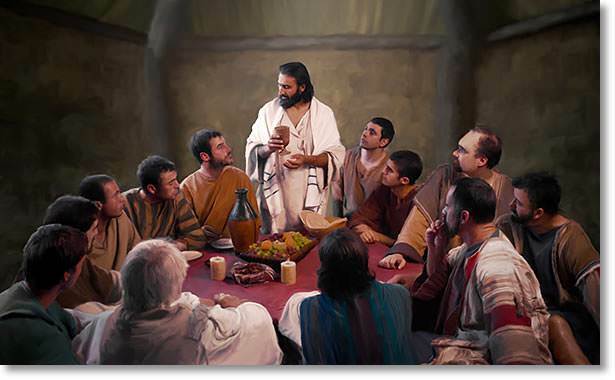 What did Jesus talk about as they sat at supper? a) What they had seen that day. c) He told them He was going away and they must be brave and tell others about Him. 8. What promise did Jesus make as He talked to the disciples? a) He would come back and see them. b) He would prepare a Heavenly home and they would come and live with Him some day. c) He would take them out for supper next time. 9. 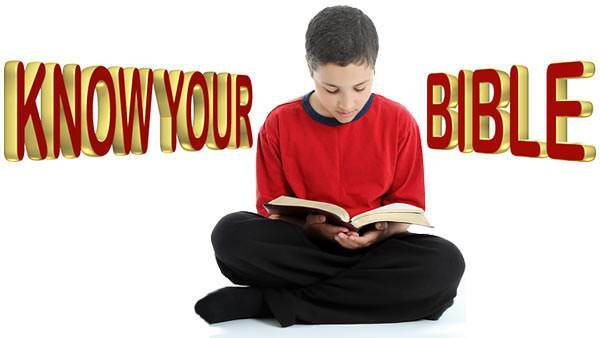 (First, read the Bible verses in the separate Scripture Passage page.) This "Last Supper" was the beginning of a very special kind of service which we hold in our churches today. What is the name of this service? b) Communion, or the Lord's Supper.